Since this is my first summer as a blogger, I was worried I'd need an all-new summer wardrobe to make my outfits blog-worthy. There's some serious motivation to try a little harder with your outfits when you might share them with a fashion-minded audience! But with a little inspiration, so far I've been able to take a lot of my favorite pieces from past seasons and work them right into summer. As it turns out, I've probably seen several different Pins of Reese wearing this color combination. It seems like it's kind of her "thing". And that's June, in the books with another batch of everyday outfits featuring a heavy dose of clothes and accessories from Express and a dash of Pin-spiration...you know, nothing new around here! You’ve been doing a wonderful job mixing old and new pieces. I always find inspiration whenever I visit your blog. Have a great Monday and enjoy your summer! Love all your summer re-creations! 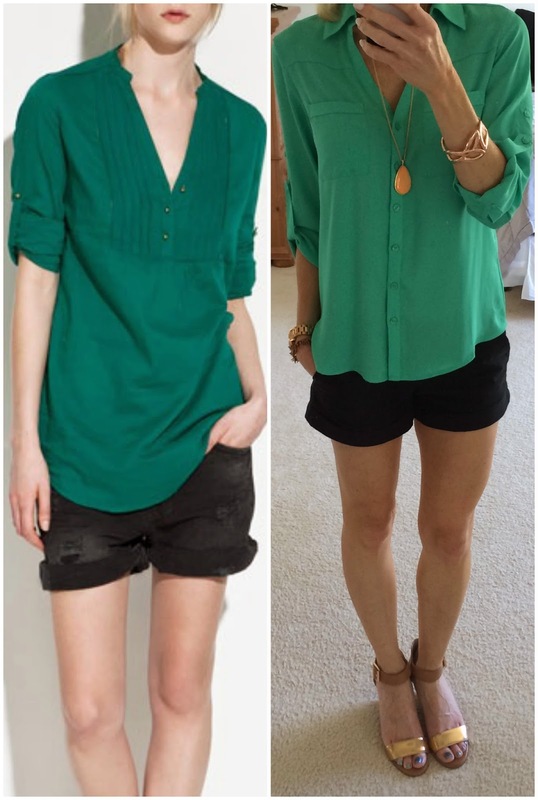 You pull off a button down blouse like no other! I also adore that lace tank! 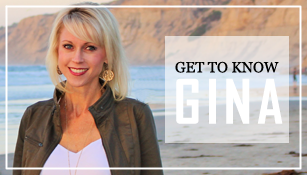 You never fail to inspire me with your styling Gina....of course, I am so partial to the stripes shorts combo!! Seriously love these outfit combinations you have. My favorite is the pink top with the black and white striped shorts. All are so cute and easy to put together! Great post! It's so important to stretch your wardrobe because otherwise we would all be in the poor house! 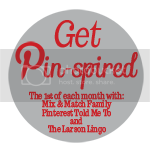 I love being inspired by others, bloggers and celebrities alike. Love all your looks, all the time! Love long sleeve tops with shorts! All of your recreations are perfect for summer and so chic! 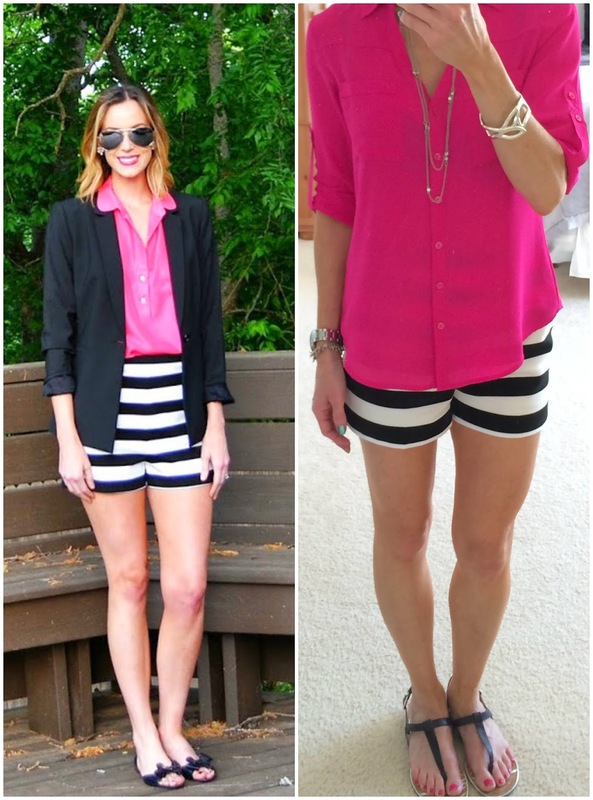 My favorite is the bright pink top with the striped shorts (still wanting those shorts!). I have totally thought the same thing about blogging this summer. 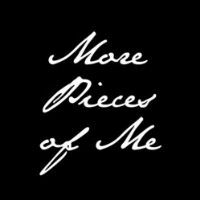 I started my blog as a personal one and posted my first fashion piece last summer, but it was definitely not a fashion blog at the time. It's funny how my mindset to getting dressed has changed. I think, "is this something I would want to share?" It has made me be more creative I think. I love all your summer choices! It's great to have a few pieces that transcend seasons. 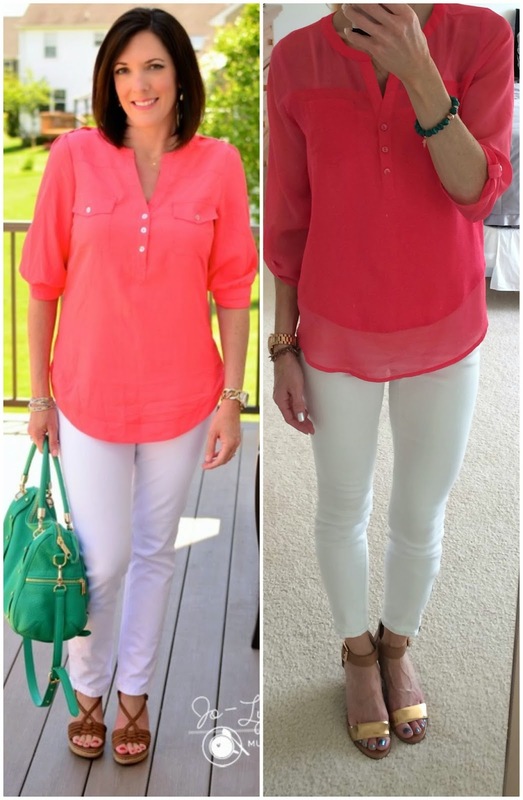 I just ordered a white blouse too thinking the same thing. Thanks for the feature. You're the best!! love that you are recreating some summer looks with all these pieces. 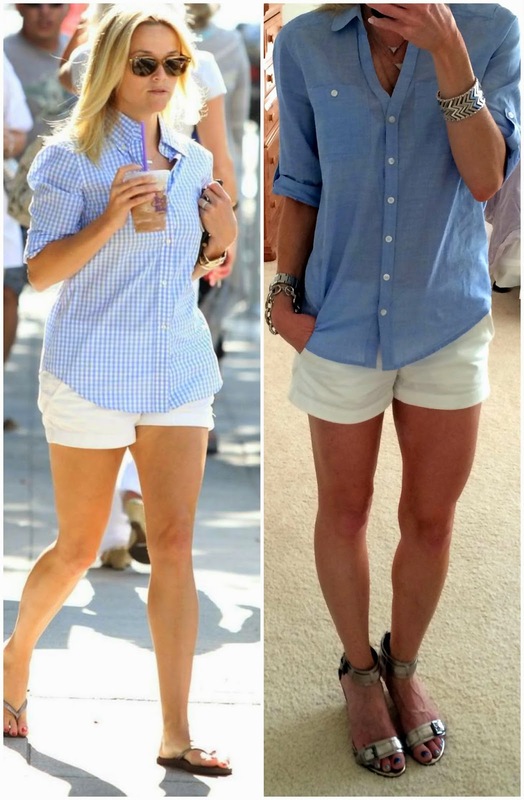 love the blue top + white shorts combo! Wow - you nail those looks everytime! Love your summer looks. Those blouses are all beautiful and I like the variety you offer. So many great looks! I never tire of a white and blue combination! Definitely love re-working some of my past season loves into summer! You really can't go wrong with simple basics for summer. I have that voile top but in cobalt blue. I wore it in my jewelry post but now I am going to put it with white shorts. Thanks for the inspiration. Ha. I keep saying this, but I need to shop my closet more. I find that most of my pins include a piece of clothing I already have but the pin shows a new way to wear it. And I'm still loving that lace tank. You do such a good job mixing and matching your wardrobe!! Love how you made the last look work for you! I love the blue top and white shorts combo. I just can't get enough of blue button down shirts. They're just so classic and versatile. I keep wanting to get more of them. I also love the hot pink against the black and white striped shorts. That's a great look on both you and Amy. Have a great week and an early Happy 4th! You've done such a good job remixing your wardrobe! I love the black, white, and pink combo. I think I need to shop my closet more! You rocked these! All of your shirts look so flowy and comfortable. Denim shirt is my absolute fave! I think it makes you look good no matter who you are; I find myself mixing and matching mine way more times than I care to count haha. Love the hot pink and stripes too! I love the portofinos because they are season less here in SoCal! 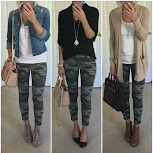 A lot of express pieces can be worn so many different ways :) you did a great job styling all of these looks! I like Reese style anyone could wear it. Thanks for sharing. Oh that lace tank is super cool! I love that it would pair so well with so many colored tanks (and who doesn't already have a bunch of those?)! Amy is the cutest! Love this look on both of you! amazing! I love all of these looks! My favorite it the first one! Simple, but a classic! 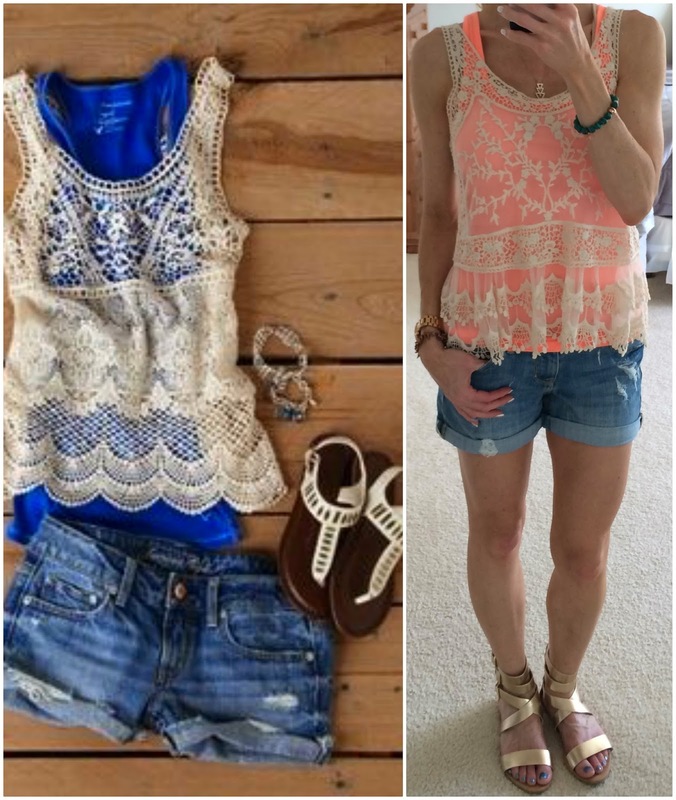 I am loving the lace top and your blog! 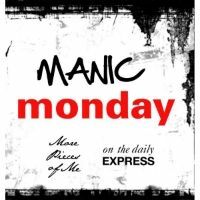 I would love to join in on your Monday link up - sounds fun and I would def link you back from my blog! I hope this is the correct way to join your link up?